When you're at sixth form/college I find it a challenge having to wear my own clothes, but to avoid having to spend lots of money on a great deal of clothes I just change the way I wear them..if that makes sense? 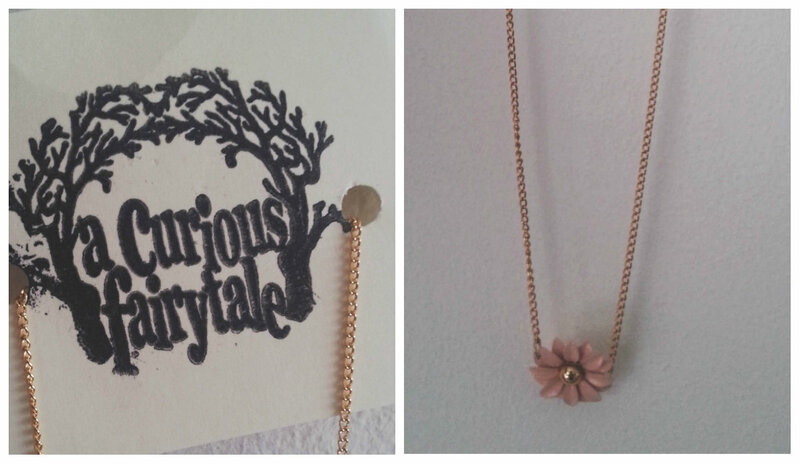 So, a different pair of shoes and recently it's been jewellery and my favourite item at the moment is this gorgeous necklace* from A Curious Fairytale. 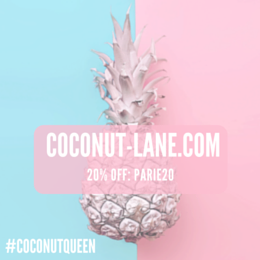 The name is the cutest and they sell some of the most adorable little pieces on their store, and all at really reasonable prices which gives you an excuse to buy more for all your outfits. 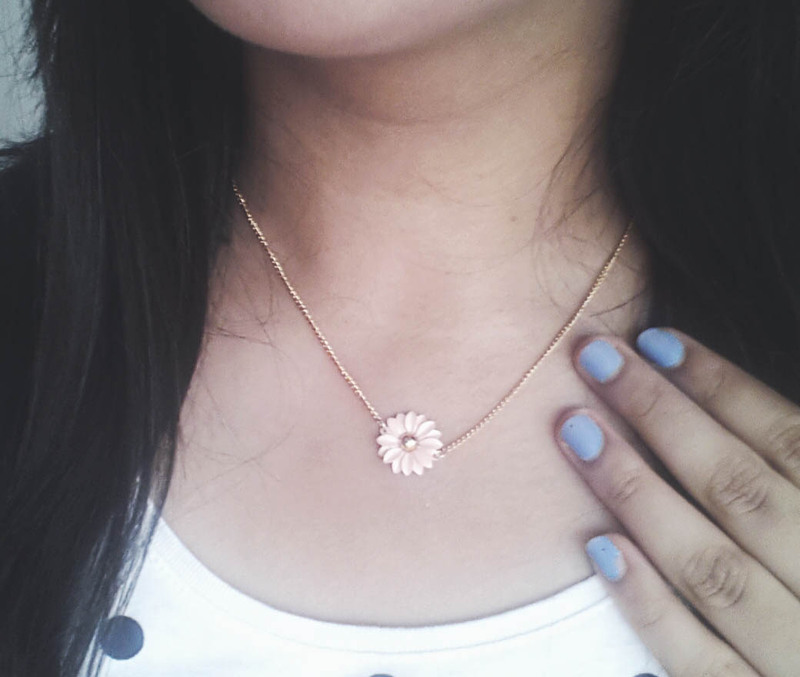 This necklace is a pretty little dainty pink daisy and it suits beautifully on anything you have in your wardrobe. I paired it with this polka dot top from Matalan, and it looks great because the top is a scoop neck and being a long necklace and statement 'kinda gal' this was very different and stopped quite high up so it was a big change. 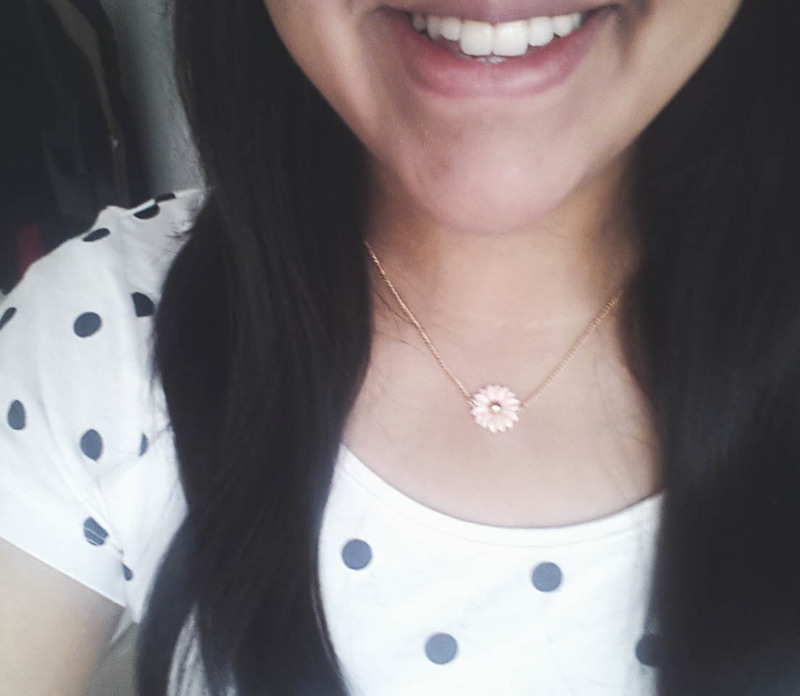 But, for some reason I seemed to have fallen in love with it and might just be wearing this a lot more this summer!